Over the last weekend the 19. 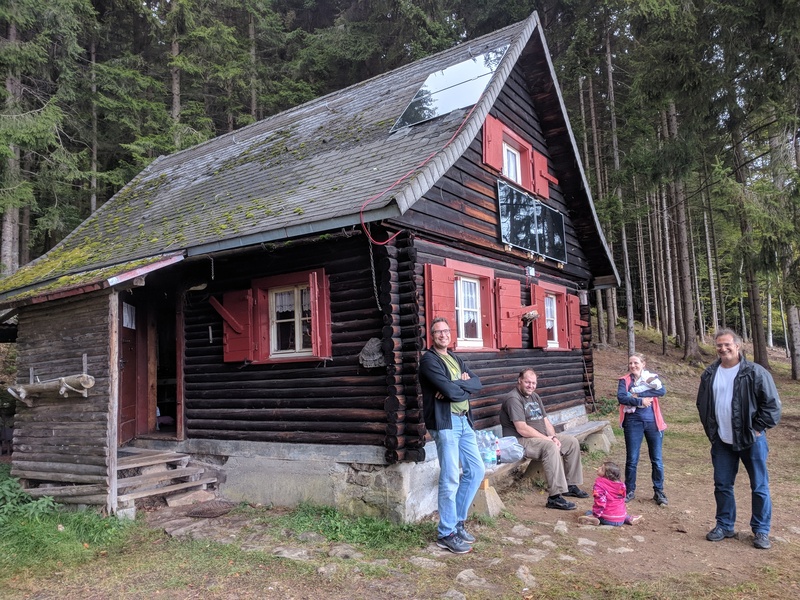 UAVP-NG Developer Meeting took place in a mountain hut in the Black Forrest near Freiburg. Markus, a fellow UAVP-NG head developer, invited us to a small gathering for discussions, BBQ, drone racing and mountain flying. Since we all had cars full of material we had to drive up to the mountain hut. This proved to be more challanging than expected. The road up to the hut was very steep and it gets steeper the higher up you go. Some of our city cars had real trouble with grip and the height of the holes and stones on the road. In the end we all succeeded and we were able to transport our material, coal, food and water up to that hut on the mountain. The view from up there was exceptional and the mountain hut was a really nice small hut as you can find them in the Black Forrest. The sanitary arrangements were a bit special. There was a small toilet hut beside the mountain hut for sanitary business. In it resides the mysterious "Donnerbalken" to help with the most personal details. 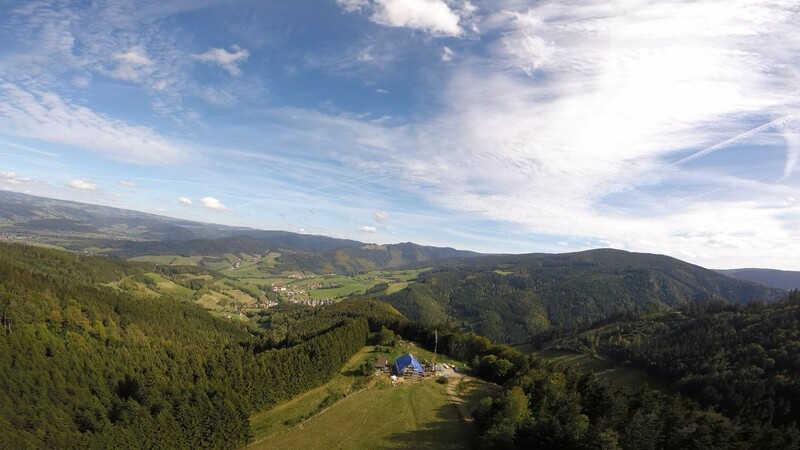 Ralf did an aerial shot of the scenery. Doesn't it look like a witch's house high up in the mountain? 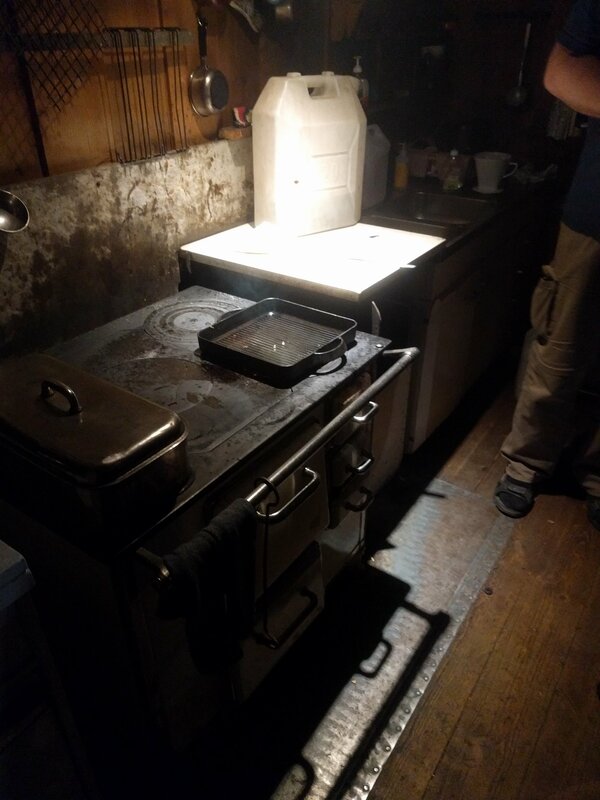 The hut has a very old wood stove which some of us used extensively for BBQ. Besides that stove we also had a big coal BBQ outside behind the hut which we used to barbecue often and excessively! A bit below the mountain hut there was a bigger field besides the uneven mountain road and we used that steep field to fly and race. Luckily the cows on the field full ignored us and did not even get a bit irritated by our not really silent freestyle drones. The view from the mountain was great! Freestyle drone flying in such special environments is so much fun! I hope we will be able to fly many more special places next year. 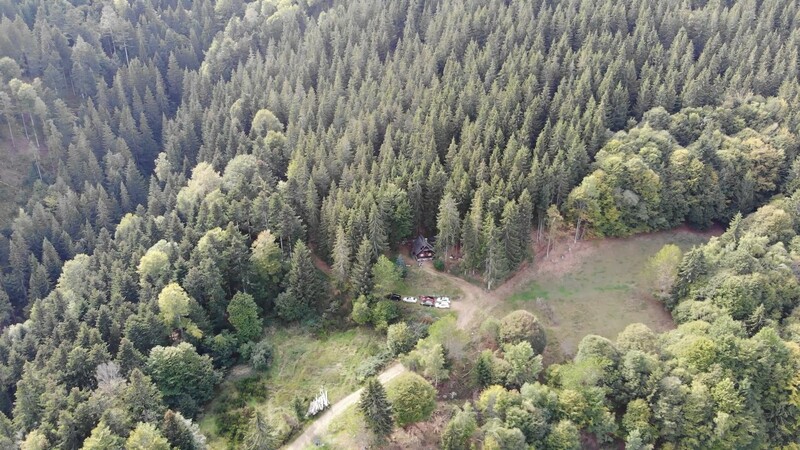 We had teriffic days up there in the Black Forrest!